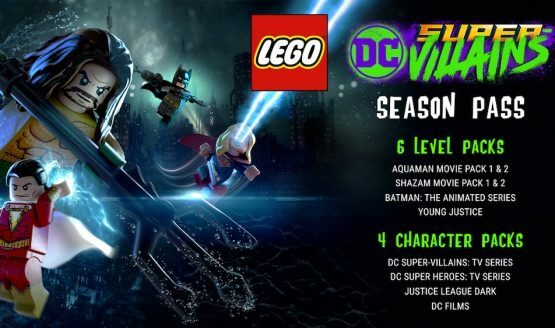 Warner Bros. Interactive Entertainment and TT Games have announced plans for a LEGO DC Super-Villains season pass. The downloadable content features six level packs and four character packs, all of which are set to launch after the game’s October 2018 release. Included in the six level packs are content from DC Films, such as Aquaman’s forthcoming solo and the Shazam! movie. Players will get to explore two levels from Aquaman. Two levels from Shazam! will appear as well. Rounding out the six level packs are a couple from DC’s animated television universes. Batman: The Animated Series gets some love in one pack. Young Justice, which returns for a third season in fall 2018, will have one of its own. Two separate character packs focus on the heroes and villains of DC TV. These characters include those from Black Lightning and the Arrowverse—Arrow, The Flash, Supergirl, and Legends of Tomorrow. Characters that star in DC’s big screen adventures will receive a pack of their own, so expect much of the Justice League to appear. Justice League Dark will also have a character pack that is based on the animated film. 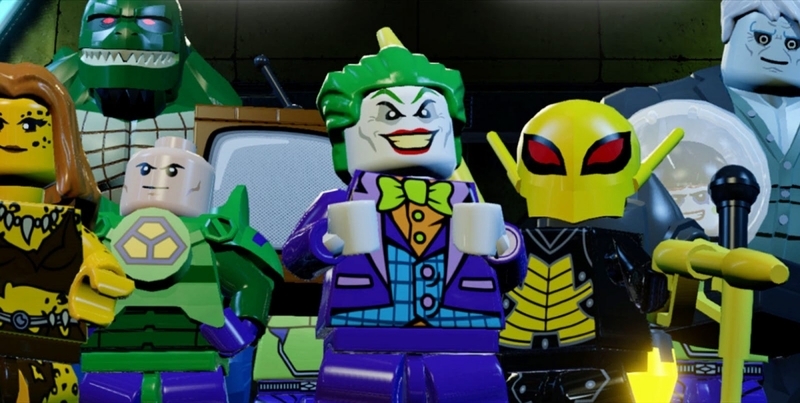 LEGO DC Super-Villains Deluxe Edition, which costs $74.99 , comes with the season pass. The physical version of the deluxe edition includes a “Lex Luthor Superman” Lego minifigure. For those interested in purchasing the season pass separately, there’s a $14.99 price tag attached. For the first time in a LEGO DC game, players will not take the fight to criminals as a hero. Rather, players will be tasked with creating their own super-villain and protecting the Earth, as members of the Justice League have mysteriously gone missing. Join DC’s most villainous figures in a fight to save the world from Darkseid’s invasion when LEGO DC Super-Villains drops on October 16, 2018.